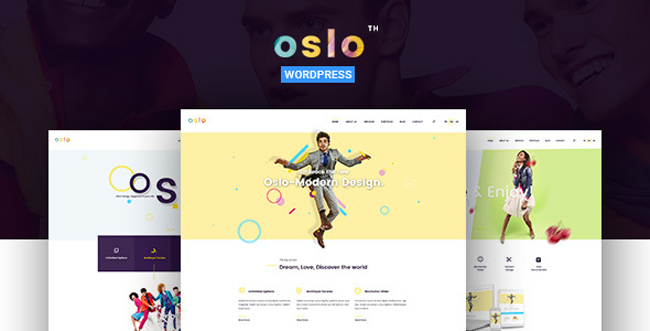 The theme has a modern design, an original concept with unique elements: This is Oslo, the brand new WordPress Theme from VERTIQAL TEAM. Combining bright colors with a clean design, Oslo is perfect to make your business pop out. This theme is also suited for a creative agency, a cutting-edge business or a breakthrough field. All the files are well organized and easy to customize. Enjoy it’s sleek curves now in the WordPress version. Demo content included with over 70 pre-build pages.The theme comes with filterable Isotope portfolio, up to 4 columns and multiple layouts. It has multiple blog layouts and pages. The PSD version is also included.